So our day started with an early morning domestic Goddess moment of getting the laundry done. 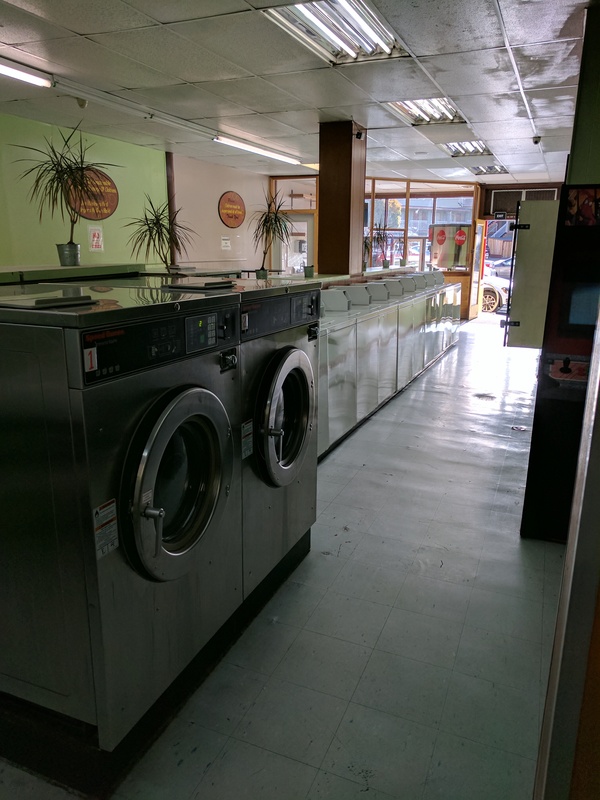 Opposite our hotel was a launderette (Mission Bubbles) so we headed over as soon as it opened. 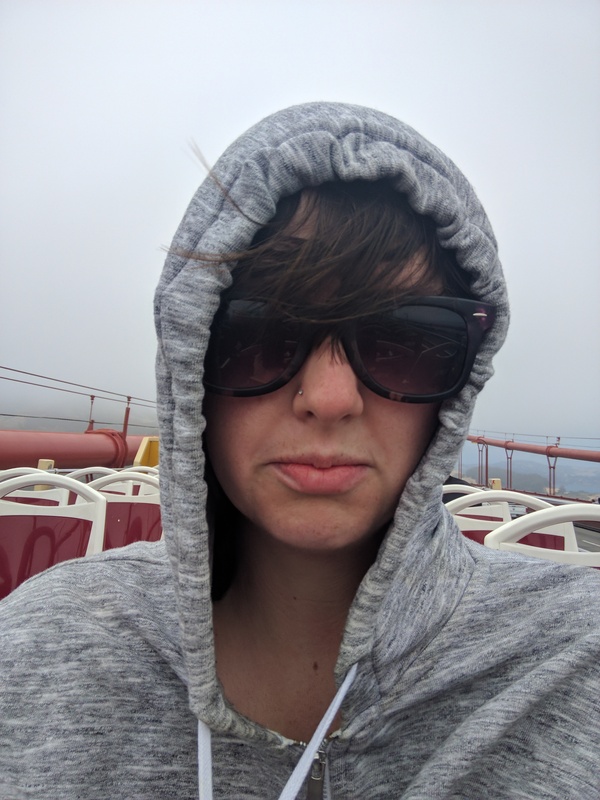 We were the first in there and I had fun singing and dancing to the old school music whilst feeding the machines my quarters – I felt like I was in the movies! After getting into fresh clothes (best feeling ever), we packed and checked out. Our accommodation had been mediocre at best, if I was generous so for our last night we decided to splash at a cheeky five star joint on the main tourist drag. They even let us check in early. 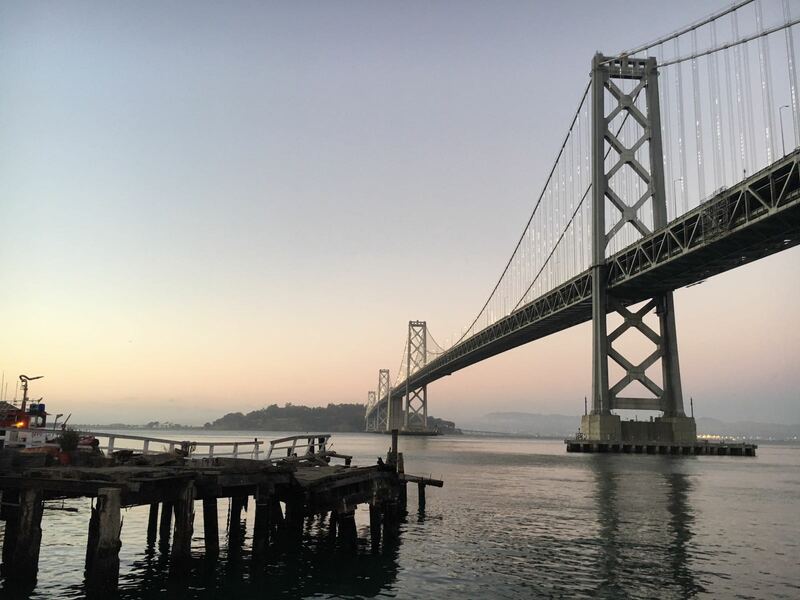 Bags dropped, breakfast eaten, coffee smashed, time for the open top bus tour of San Francisco. 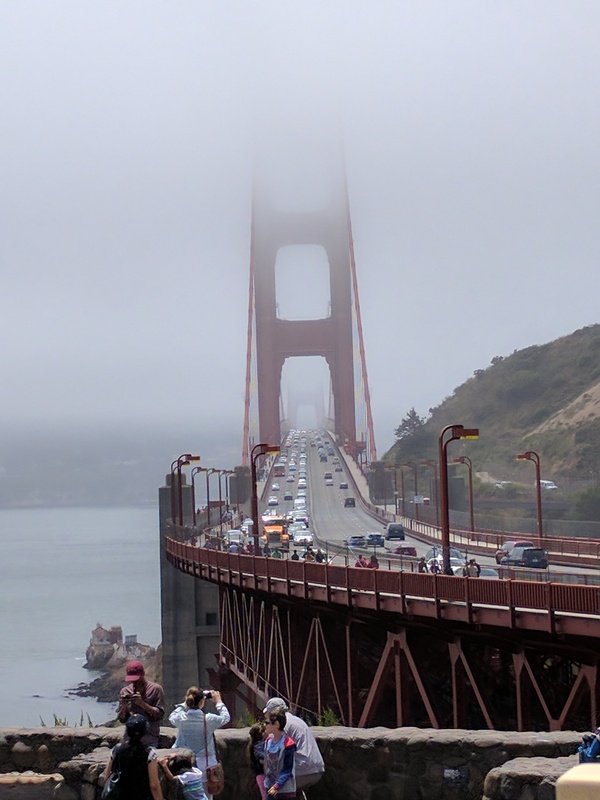 We had a great live guide who kept us clued in and we even had an authentic San Francisco experience of the Golden Gate bridge…..cold and foggy…. 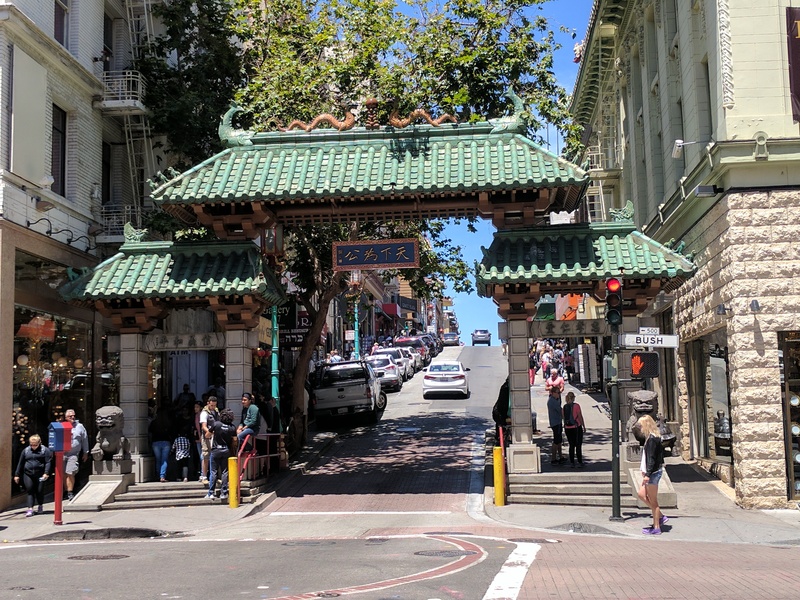 We decided to hop off at China town and hit up some Chinese food for lunch. It was this cute place the offered lots of dim sum dishes off of trolleys (we arrived as the trolleys were finishing up). 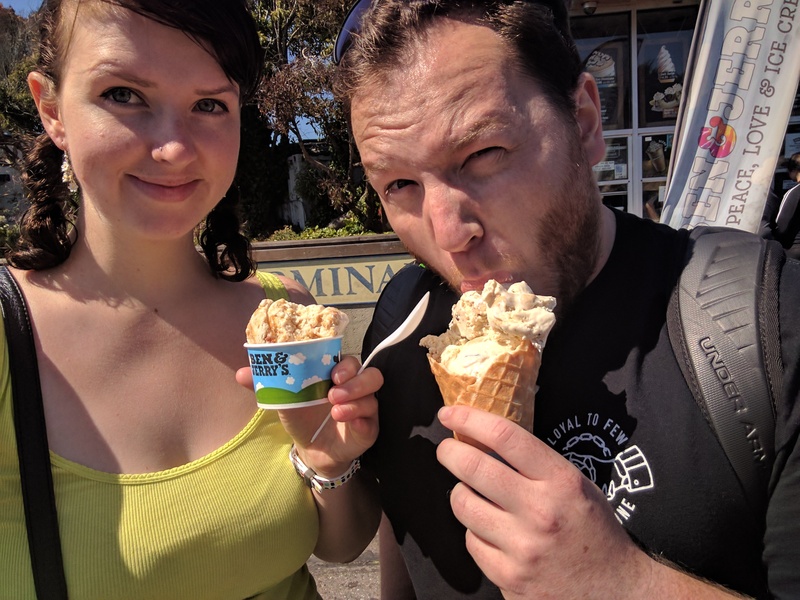 We checked out all the tourist spots including Pier 39 with the underwhelming sea lion views but awesome dairy free Ben & Jerry’s! The walk back to the hotel was fresh and breezy but the sunny day was beautiful. 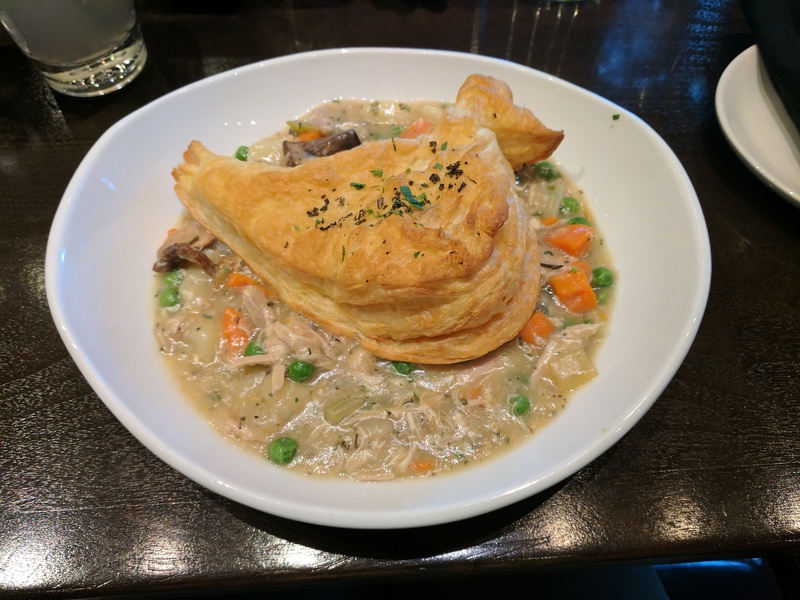 We chilled in 5 star style for a little while before heading out for dinner – chicken pot pie, so freaking cool! 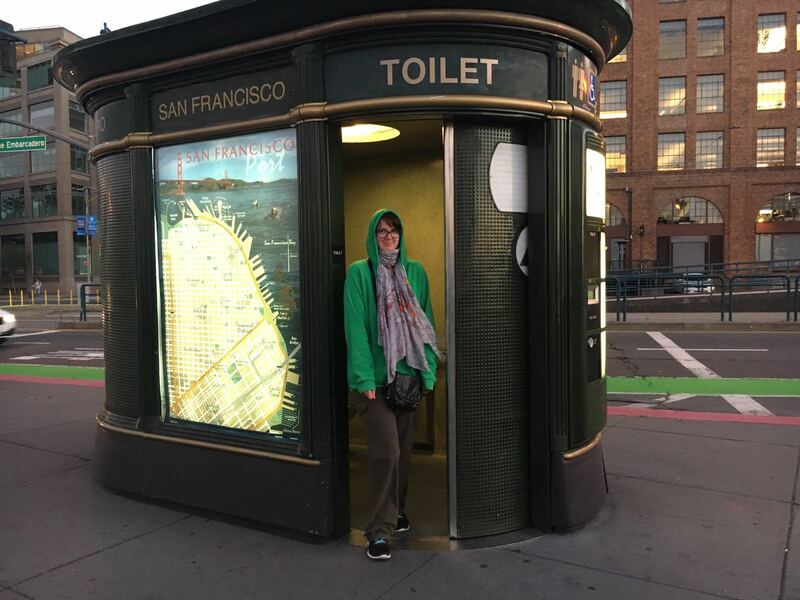 And on the way back we managed to catch the sunset and of course the obligatory toilet stop for me – living life San Fran style!